On August 4th, 2015, we left the U.S. for Argentina. We had decided to become location independent entrepreneurs. 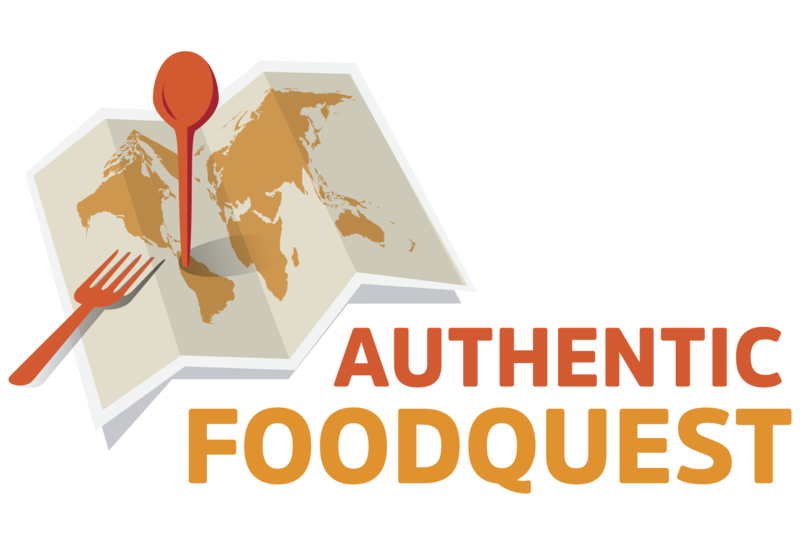 About one month before leaving, we launched Authentic Food Quest , with the mission of inspiring people to travel through authentic food. 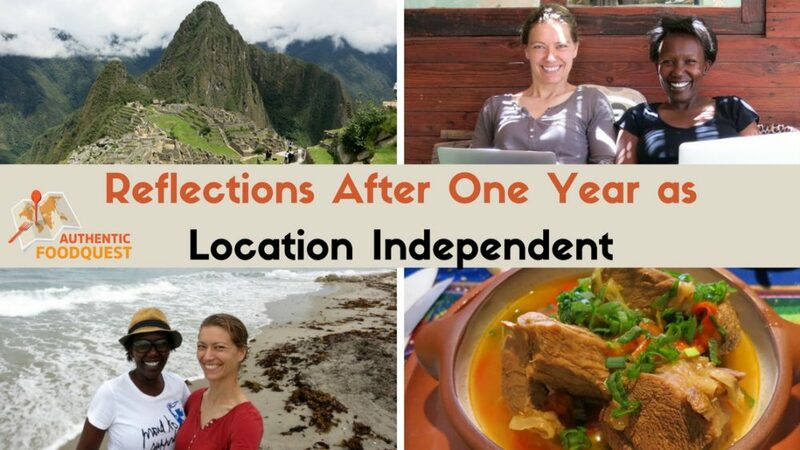 This decision to become digital nomads and create a location independent business was a result of a series of events that “pushed” us to start living our dream. We made the decision to go confidently in the direction of our dreams! Fear was our greatest enemy. In our previous article Go Forth Boldly, we talk about how we pushed past fear and took a bold leap of faith. South America was our target continent for our food quest and Argentina was our first stop. Our mission was to discover and showcase the authentic dishes of the region. By traveling through authentic food, we believe, travelers can have deeper and richer experiences. As we were leaving on our quest, we had many unanswered questions. Many of the details were not fully worked out. We had a goal and a mission, and we left the rest up to fate. Now, suddenly 12 months have gone by. This quest continues to transform us in more ways than you can imagine. Are we there yet? No! We are still growing and evolving. The last 12 months have been a whirlwind of a journey. Ready for the ride? Read on! The learnings after one year in our new digital nomad lifestyle, have been exponential! 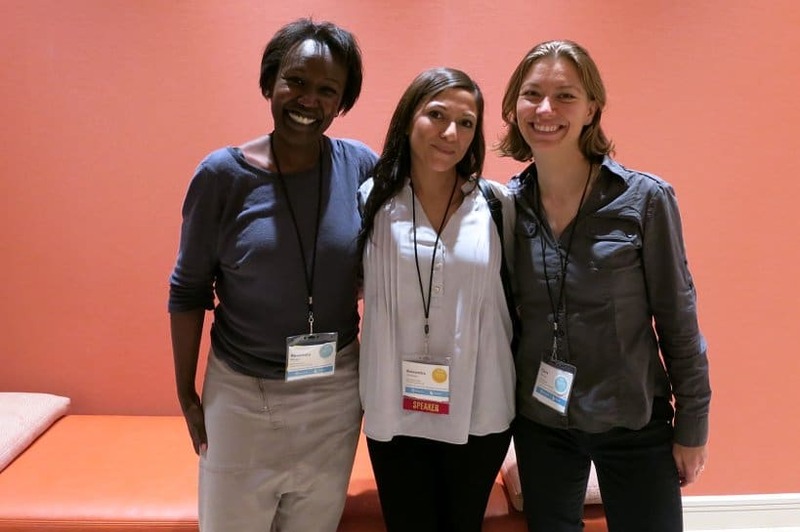 One key turning point for our business was attending the Women In Travel Summit conference back in March. For the first time, after a little more than 6 months on the road, we were surrounded by women who travel and blog for a living. There could not be a better fit for our current lifestyle and what we wanted to accomplish. For two days, women from around the globe talked about the business of blogging. Through seminars, coaching sessions and networking, this conference opened our eyes on the business end of things. Yes, when we started this adventure we were clear that we were starting a business. And although we had a track record of corporate and business careers, we knew little about the blogging business. This conference was an eye opener on so many levels. First, we learned about the many ways to generate income from our blog. We gained a better understanding of affiliate marketing. We got assurance that launching our own products was the highway to success. We witnessed successful location independent bloggers talk about press trips and brand partnerships. And finally we absorbed all we could about freelance writing and how to get paid for writing about your travels. When we first got back to the U.S. after our South America food adventure. We felt lost. 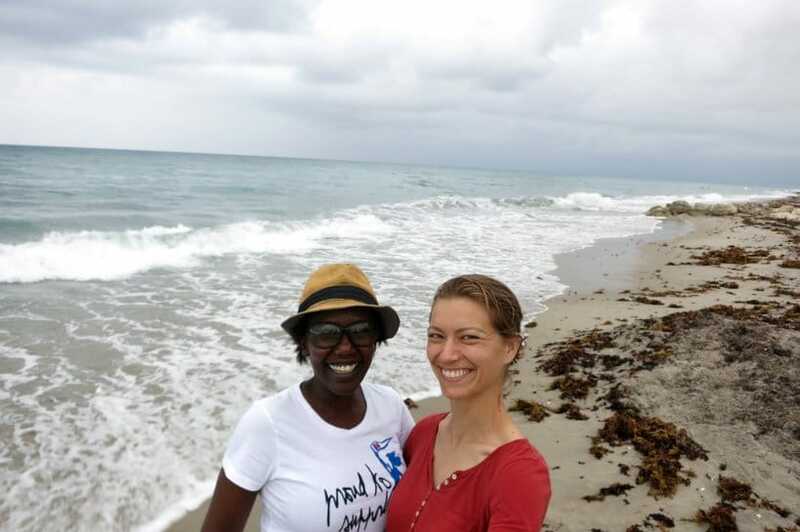 We had lived a completely unconventional lifestyle and we struggled to find our place. Attending WITS gave us an incredible opportunity to connect with smart women who understood the challenges of a digital nomad lifestyle and growing a business on the road. 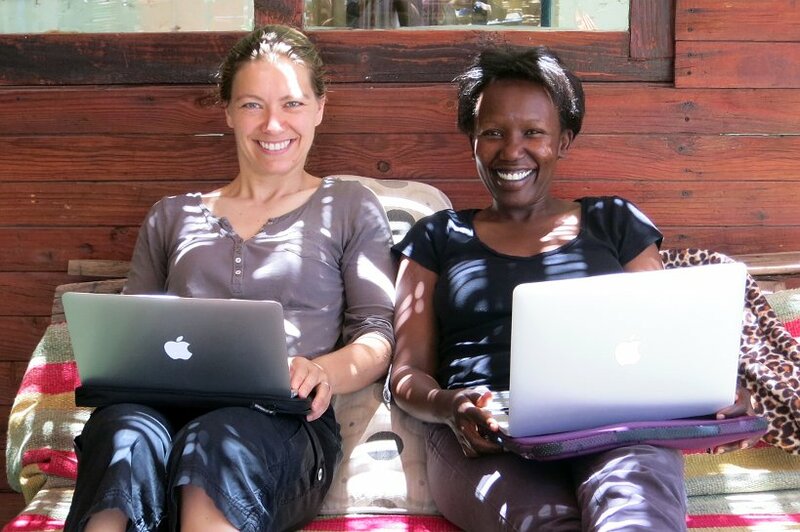 That’s when we realized the importance of surrounding ourselves with other digital nomads. Soon after, we heard about Location Indie. 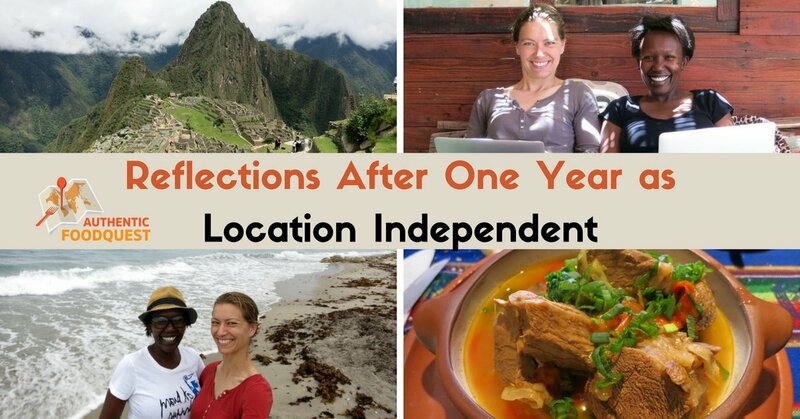 This is a community of location independent and digital nomads who live on the road. We joined right away and have been loving it is so far! We’ve realized we are not the only crazy entrepreneurs living a location independent lifestyle. We achieved the unexpected. We added “author” to our credentials. We had no idea when we left 12 months ago that we would launch our first product. We had talked about it but didn’t really consider it seriously. As we began to discover the unique dishes of the countries we visited, we knew we needed to capture the information so that travelers would not miss out. 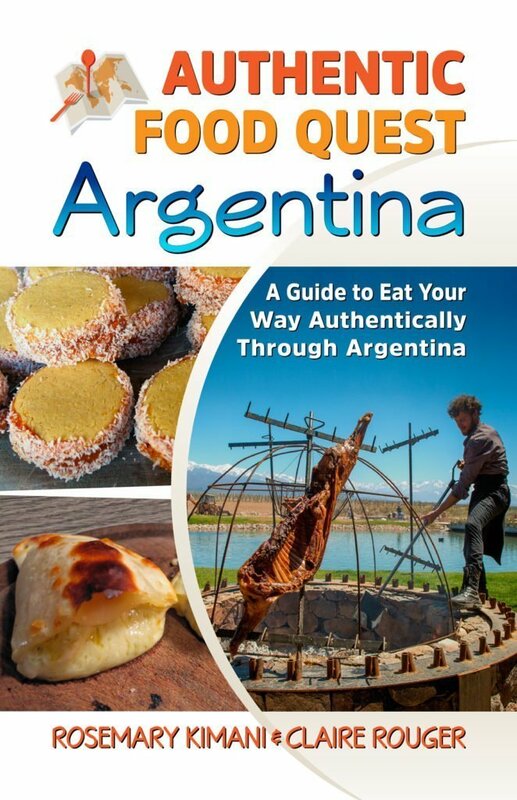 In a few short months, we wrote and published Authentic Food Quest Argentina. The book is currently on Amazon Kindle and a paperback version is forthcoming. We are happy with the book and trust that it will be a great asset to travelers who want richer experiences in Argentina through authentic food. It’s incredible what you can accomplish when you set your mind to it. Being a couple in business, we’ve had our fair share of trying days. It’s been difficult at times. However, in the last 12 months, we are starting to comfortably fall into roles. We are both learning so much about building an online business and are discovering new interests and skills. We love traveling together and discovering new places. We get a thrill from putting new taste and flavors in our mouths. Everytime we try something new, it’s like unwrapping a gift at Christmas. This has been a wonderful journey of discovery. Our biggest challenge has been “work/life balance.” We find ourselves constantly connected. Never too far from our laptops or phones. Dinner discussions revolve around articles we are writing and next steps for the business. No time to shut off! This needs to change. Maintaining relationships on the road has been difficult. Especially with our friends back home. Many don’t understand our digital nomad lifestyle. In addition, the time difference is challenging. It’s not that easy to simply pick up the phone and call, and meet up for dinner or drinks. A relationship via social media is not the same. On the flip side, we’ve made many new relationships. The people we’ve met on the road have been warm and generous. We’ve been welcomed into hearts and homes and created new bonds. The digital nomads and location independent entrepreneurs we’ve had the privilege of meeting have helped give meaning to this new lifestyle. We have gained new perspective and new friends. In our reflections after our first 100 days of our quest, we talked about the importance of staying healthy. This remains a priority for us. We keep exercising everywhere we go. 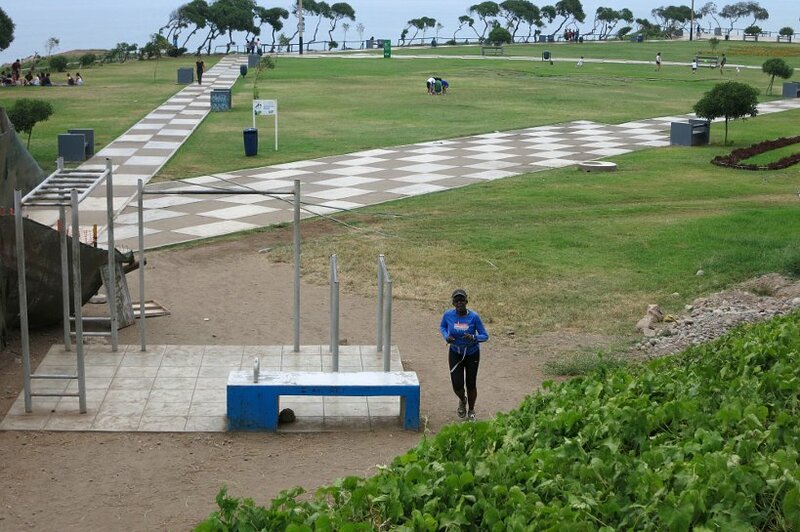 While not always easy, we always manage to find a safe park or quiet streets for our usual runs. This is the first time we have had to navigate the U.S. healthcare system as digital nomads. And it has been tricky. Under the Affordable Care Act, it is mandatory to have health insurance in the U.S. When we got back we needed to re-establish our health insurance coverage. Getting health coverage was difficult. It is expensive and we would likely be paying for services we would not use while traveling. Given that it is mandatory, we had a to find a solution. After months of wrangling with the system, we finally got coverage. When traveling, we rely on our travel insurance with World Nomads. Additionally, the medical services provided in the major cities we visited are reliable and far much more affordable. You can read more about Rosemary’s incident in Argentina and why travel insurance is important. The good news it that we are now covered domestically. And we will continue to use World Nomads internationally. Although our daily budget has fluctuated over the past 12 months, we have managed to within our overall budget. Our total spending as a couple has been less than $20,000 for the year (business expenses not included). Using a fantastic app called Trail Wallet, we have been able to track our daily expenses and stay within budget. One great feature about Trail Wallet is the ability to track spending in multiple currencies. 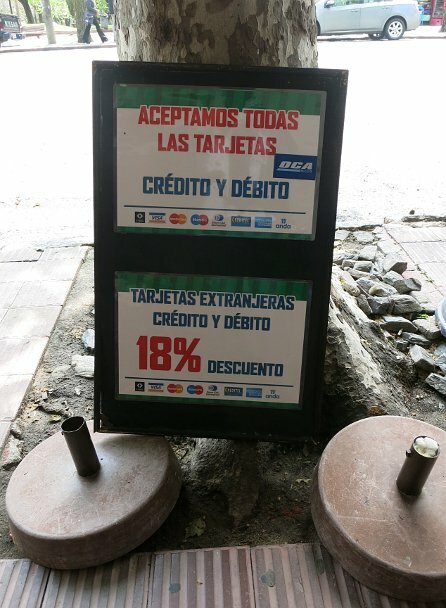 Check this out: if you use your credit card in Uruguay you get a 18% discount! We are not “homeless”, we like to think of ourselves as home-free! What is left after we sold our belongings and set off for South America, sits in a warehouse in Los Angeles, CA. In a SmartBox is where all the “stuff” we own fits. 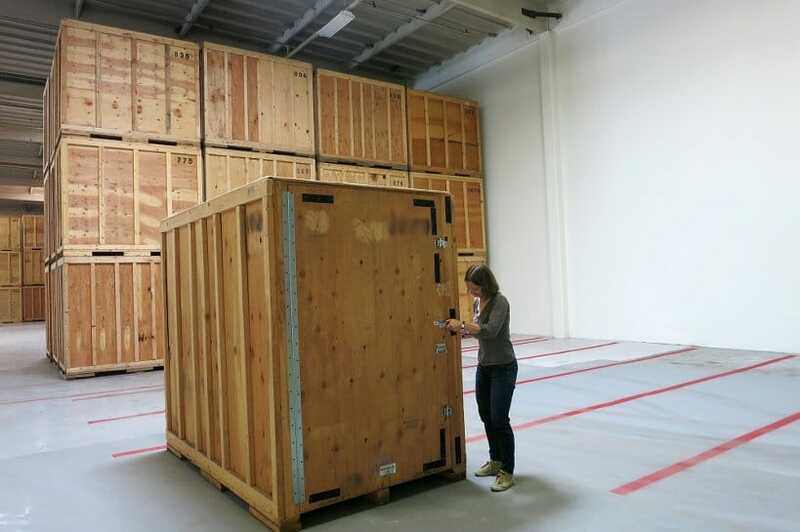 This box is: 8′ deep x 7′ tall x 5′ wide (2.4m x 2.1m x 1.5m or 8m3 ). Strange experience visiting “our box” earlier this Spring. After 12 months, we’ve realized that we don’t need much. Thanks to our friends, we have a base in Oak Park, IL. Grateful for their generosity, we prefer not to be a burden. 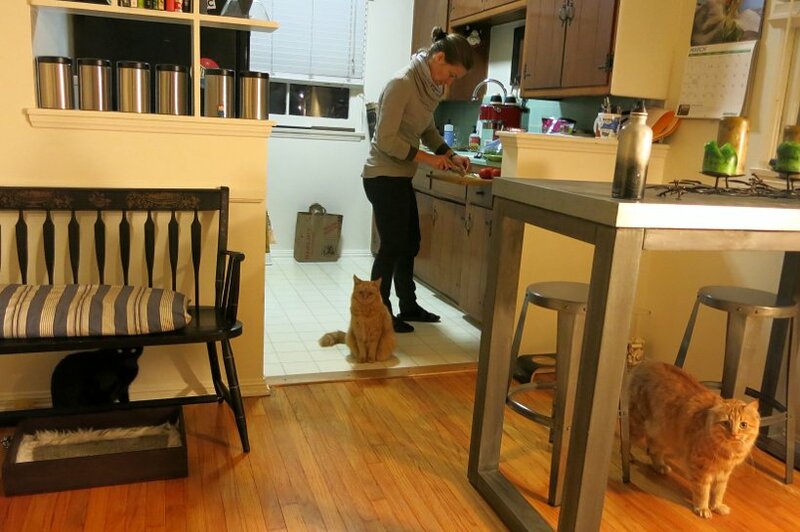 So, when we are in the U.S. we find lodging through house sitting. We use two platforms Trusted House Sitters and House Sitters America. So far, we’ve been very happy with the opportunities we’ve had. In the last eight months, we’ve spent time house sitting in Santa Monica, CA, Oakland, CA and Wellington, FL. Now that we have more experience, we will use this mode of lodging in the future. When it comes to traveling, we love Airbnb. We used it often in South America to stay with locals and share great meals. On our travels, we will continue to stay with locals. We will test other platforms and offer you more resources to choose from! We started keeping an “Astonished Report” after our first 100 days of our quest. As we reflect back on the last 12 months, here are some moments that have left us astonished. 1- Rosemary: I HAVE BEEN ASTONISHED at how much one can accomplish with focus. From advertising and marketing professional to author. Simply incredible! 2- Claire: I HAVE BEEN ASTONISHED how much we have learned and grown in one year. From running our own website to publishing our first book! 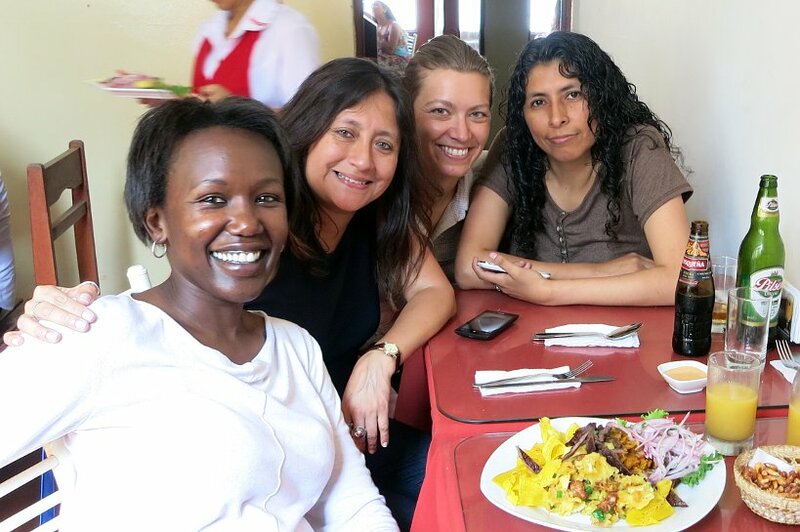 3- Rosemary: I HAVE BEEN ASTONISHED at the generosity and help we have received on this quest for authentic food. From connections and contacts in South America, to business advice and book marketing support. The support has been incredible. 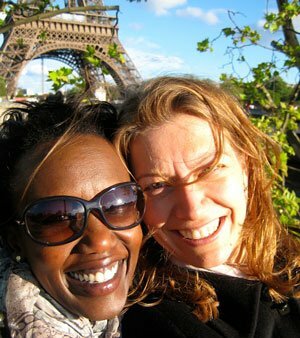 4- Claire: I HAVE BEEN ASTONISHED at how we have been able to travel affordably. Travel doesn’t have to be expensive. 5- Rosemary: I HAVE BEEN ASTONISHED by the food on our quest. The food from the Amazon Jungle is simply unbelievable. 6- Claire: I HAVE BEEN ASTONISHED by the importance of surrounding ourselves with like-minded individuals. 7- Rosemary: I HAVE BEEN ASTONISHED by the beauty of Machu Picchu, Peru. Visiting this important archaeological site, was the fulfillment of a dream. 8- Claire: I HAVE BEEN ASTONISHED by how keeping a healthy and positive mindset is critical to our new digital and location independent lifestyle. 9- Rosemary: I HAVE BEEN ASTONISHED by the number of digital nomads and entrepreneurs we have met, who are all “creating” their lives on their own terms. 10- Claire: I HAVE BEEN ASTONISHED by how diverse and delicious the food is in South America. We move into the next 12 months a little wiser, yet highly aware that we still have so much to learn as independent location entrepreneurs. Building our sources of revenue is our major priority. We have more confidence today and are learning to trust our intuition more and more. Exploring the authentic dishes of Southeast Asia. Starting in October 2016, we will be in Southeast Asia exploring the authentic dishes of the Philippines, Thailand, Vietnam and Cambodia. Stay tuned for more details soon. 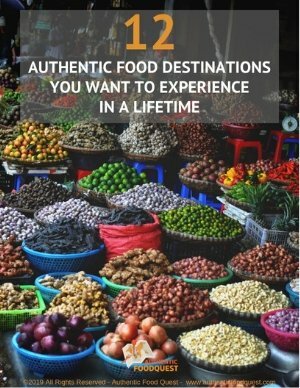 Evolving authenticfoodquest.com to become a resource that connects travelers to local and authentic food experiences. Working with different travel companies, tourism boards and brands, we want you to have the resources you need to create your own food adventures. After the launch of Authentic Food Quest Argentina, we will continue to write and publish additional foodie travel guides. 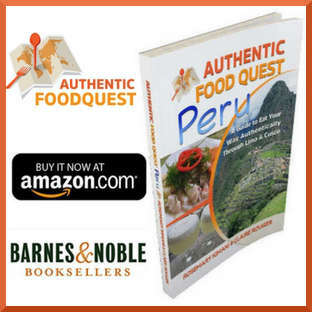 The next one is about the authentic dishes we discovered in Peru. We are excited to see what the next 12 months will bring. Enjoyed reading this article? See the delicious and wonderful dishes we discovered in Argentina. 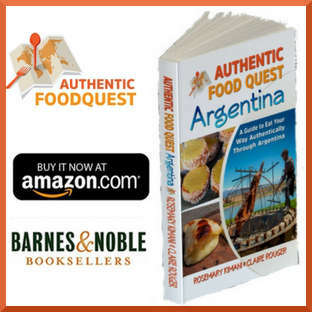 Get your copy of Authentic Food Quest Argentina: A Guide to Eat Your Way Authentically Through Argentina on Amazon Kindle Today! Congratulations! I’m excited to see what this next year will bring you. Thanks Jaynie for your comments. The Women in Travel Summit really helped us think different and take our business to the next level. Highly recommend!! Feel free to reach out with any questions. Cheers! That is a beautiful life journey! Love your box of belongings. All the best for your future and I am truly happy to know someone living their life like this way!! Kudos to both of you! I love that you use the term home free. Enjoy your next adventure ? Hi Tandy, being “home-free” is more than not having our own home. It’s been a mental and psychological shift as well and one that is still evolving. Thanks for your support! Congratulations! It sounds like you’ve really accomplished a lot in a year. We’ve been at this for seven years now and making it through the first year is the hardest. A lot of bloggers give up before the first year once they realize how much work it actually is. You are so right Jennifer. It is a lot more work that we imagined. Seven years, congratulations! We look forward to getting there as well. Congratulations to you as well. We appreciate your comments. Although I’ve been traveling for two and a half years I’ve only been blogging for six months so this post is really encouraging. I know I still have so much to learn but it’s been a fun process! My blog also centers around foodie travel! You are so right Nathan, there is so much to learn. Agree, it’s been a fun and growing process. Glad you found encouragement in our story. Hang in there 🙂 Cheers. What an amazing journey indeed, really astonishing. Being able to do what you like, to travel, be on different places and meet with people who share passion for authentic foods. Thank you so much Eloise, for your support. The idea of “YOLO” is really important to us. We have to make the most of this opportunity that we have been given. We are excited about the next chapter. Thanks for your comments. This is amazing — what a journey! 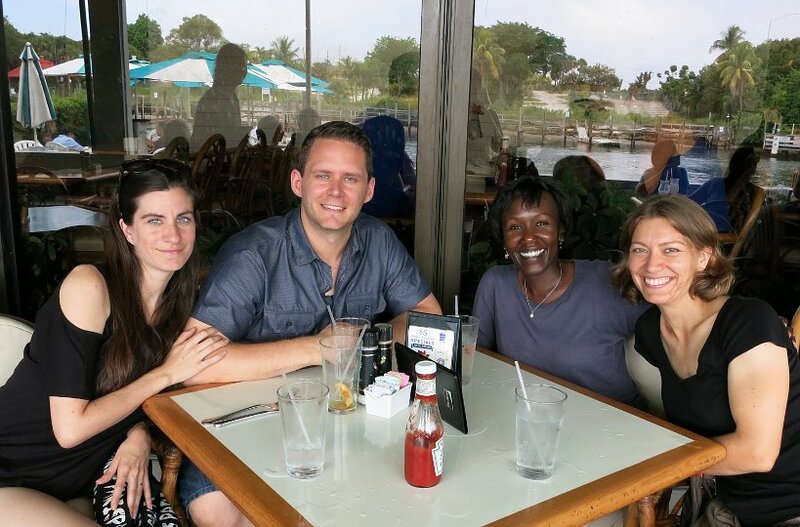 It’s so great to connect with other digital nomads/travelers/bloggers/entrepreneurs because often times they have such similar experiences. It helps to know we are not alone! I know I am constantly battling the work/life balance as I teach 40 hours a week and blog/market/freelance 30+ hours a week. The need to connect with other digital nomads is incredibly important. The support is crucial. Sounds like you are pretty busy as well. It is important to make or create that time for balance. We often need to remind ourselves to “enjoy the journey.” Thanks for your comments Natasha, and best of luck to you as well. What a way to push yourself into new directions and experiences and just go for it, life should be filled with the unexpected and exciting and your definitely living it! It has been a shift Noel and one that is evolving. Life must be lived fully and we hope to inspire others to do the same, along the way! Thanks Noel. Your story is so inspiring! A lot of people fear making huge lifestyle and career changes and success stories are great to help them face that fear. Congratulations on all you’ve accomplished and good luck with your goals for the next 12 months! So glad you found our story inspiring Alina. To be honest, we fight the ugly battle with “fear” on a daily basis. Many people have inspired us along this journey and we hope to do the same for others. We appreciate your support. Thank you! What an adventure! Writing a book about the food in Argentina is a great idea. Did you speak Spanish before you went to Argentina or did you learn while you were there? Thank you Christina, for your note about the book. Claire spoke a little Spanish and Rosemary took lessons before leaving and practiced while in South America. The journey has been one of growth and expansion. Cheers. You are welcome Eileen. Happy to share our learnings. 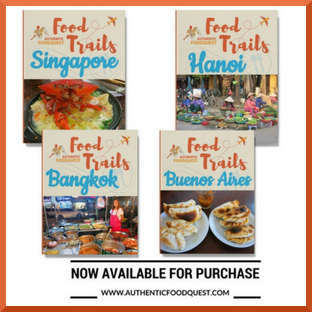 We hope to inspire people to travel deeper through authentic food! Cheers! You guys are really brave! I hope you’ll succeed in your new enterprise and find it worthwhile. I thought about attending the Women In Travel Summit myself, but I chose to attend the TBEX meeting in Stockholm instead. Maybe next year I’ll give it a try. Thank you so much Anda. 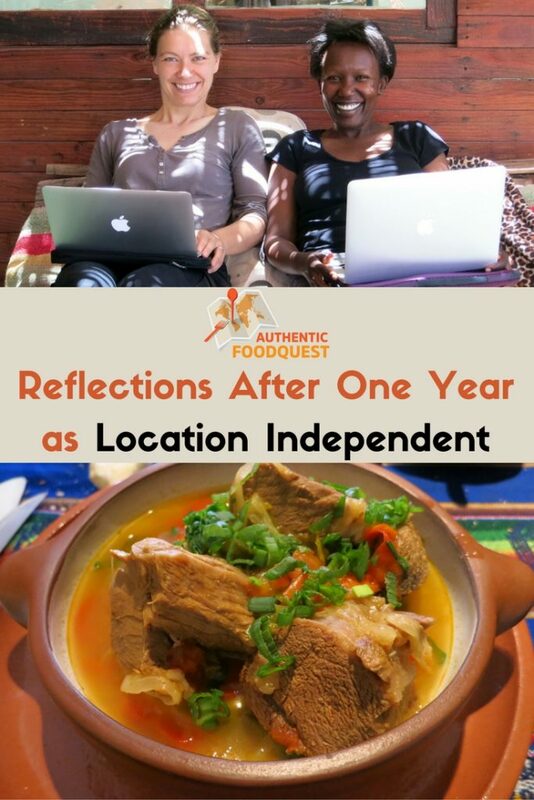 We are excited about this new venture and inspiring people to travel through authentic food. Women in Travel Summit was an eye-opener and we will also be attending TBEX in Manilla later this year. Networking is key 🙂 Thanks for your comments. Well done to you both. It’s wonderful to see success stories, and even better coming from two women. May you continue to be successful, in whatever frames of reference you set yourself, and continue to enjoy your travels and the way in which you do it. Thank you Kerri so much for your comments. We appreciate your support and are eager to see how the next 12 months shape up. Cheers. Congratulations on your past year! There is definitely a lot to learn about and from, and the journey never ends as the digital world evolves. Thats one of the things that makes it so interesting. Here’s to many more years ahead! Thank you Mar for your words of encouragement. And yes, you are right, the journey never ends and that is the exciting part!!!! Thanks for your support and best wishes to you as well. Cheers! Really inspiring stuff guys. I admire the bold steps you took. You learn so much on the road, have so many great experiences, meet so many people and learn so much about other cultures and food. Looking forward to great things from you guys. Thank you so much for your support. It’s has been an amazing 12 months, and the experiences have been beyond our expectations. We appreciate your support and are looking forward to the next part of the quest. Cheers. Love this! You guys rock. Some many great tips for bloggers looking to become nomads. Thanks Katie. We really hope our story can be inspiring to others. There are so many people who have inspired us along our journey and it would be great if others can find value in our story. We appreciate your comments. Congratulations on your first year! I was at WITS too! Will be going to the next one? And I can’t wait to read about your adventured in SE Asia. You’ll love the food in Thailand! That’s too bad that we did not get a chance to connect at WITs. What an amazing conference, right? We are really excited about Southeast Asia and can’t wait to taste the food. Thanks for the tip about Thai cuisine. That seems to be consensus!! Still planning our schedule for WITs 2017, we hope to get there again 🙂 Thanks for your comments! Great! what you are doing is awesome, the dream of many people. Thank you Deborah, for your kind words. This project is really to inspire people to travel differently. Using authentic food to connect deeper to the different regions. It is also a project that has taken the support and help of so many. We hope our story can inspire others to live their dreams too 🙂 Cheers! Great read, gals! I love your reflections. I have no doubt more good things are in store for you. I’m glad we connected last autumn and have been able to help each other out. As you said, it’s important to have folks in your circle that “get” the digital nomad lifestyle and running your own business. Can’t wait for our monthly sessions when you are in Asia!! Thank you so much Lynne for your support over the last 12 months. It’s been great navigating this journey together with “like-minded” folks. We are also looking forward to our calls and monthly sessions…together we can…and we will!! Cheers! I simply love this article. Reading about your journey is truly inspiring. I can’t wait to read your reflections a year from now ! Thank you Christine for your comments. You’ve been an inspiration to us as well and we look forward to the next 12 months. Merci beaucoup! !